Toyota, the Japanese automobile giant known for its pioneering products are a name to savor. Having followed with numerous top-notch products under their tutelage, Toyota carries a heritage only a few can reckon to match. Their cars are much loved about and the sales number are a testament to it. Continuing their legacy ahead, they have upped the game with the new Toyota Camry, one of the essential pieces of modern maneuvering cars running around. Having already stepped onto the podium with seven previous generations, all of which garnered the rave reviews, they are coming up with the eight generations of its famed colossal. Here’s us with a look at the new Toyota Camry Hybrid 2019. 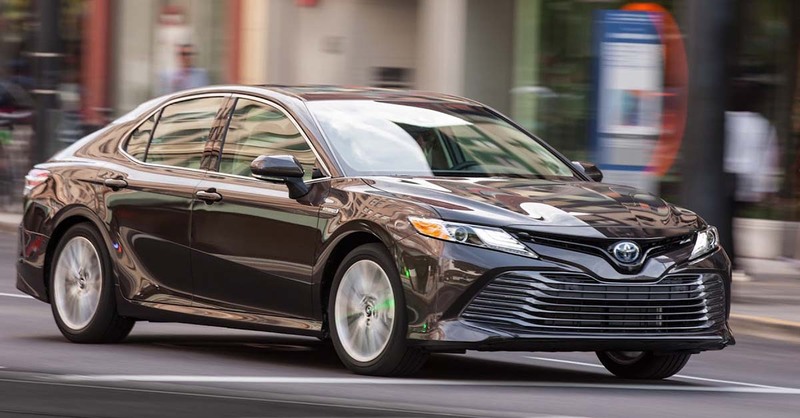 One of the products based on Toyota’s New Global Architecture Platform, the eighth generation of the famed Toyota Camry will pair the optimum performance with unparalleled comfort. An outlet of improved output, fuel efficiency and emission performance, Toyota’s Camry Hybrid 2019 is a masterpiece crafted with the utmost skill. Here’s what powers it underneath and more about it in our specs, features, exterior, interior and price. It will have 2.5-liter petrol engine with Atkinson cycle engine aided by an electric motor. It will come paired with the Continuously Variable Transmission (CVT). Equipped with the fuel + self-charging electric engine, this one delivers the unmatched power along with class-leading fuel efficiency of 23.27 km. It’s more of a lavish box saloon amid the design of sedan with a sportier feel. Its dimensions are 4879 mm, 1838mm and 1445 mm for length, breadth, and height respectively. It has a colored grille on the front and has full-LED headlight extending to the bumper. It takes much inspiration from the sedan and invigorates the design aesthetically making it a well-rounded piece when it comes to interiors and exteriors. 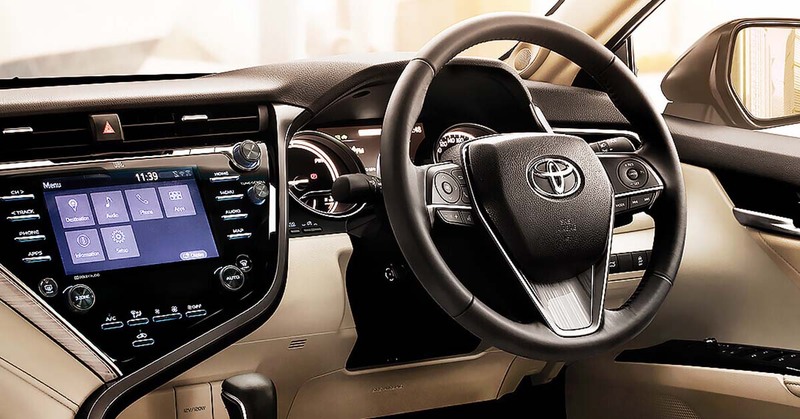 With new age Y designed dashboard and new bold front grille, there’s much to savor in the Toyota Camry 2019. It will have 8-inch infotainment system along with instrument cluster rounding up 7-inch. It carries nines-speaker JBL audio system. It has cooled seats, electrically reclining backrests, and wireless smartphone charger along with dual-zone automatic climate control. It features a host of state-of-the-art enriched cabin making the experience a top realm one. It is launched at an introductory price of Rs 36.95 lacs (ex-showroom) in India. This one is expected to cater towards the segment of Accord Hybrid, Volkswagen Passat, Skoda Superb and more.